When you want to kick your shoes off and relax, you certainly don’t want to be cramped or crowded and uncomfortable. 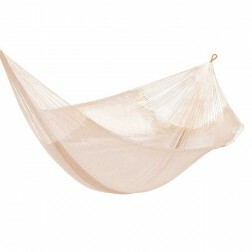 This King Size Hammock is just what you need at the end of a long, stress-filled workday in the office or shop. With plenty of room to stretch out, there’s ample space for a companion to join you for small talk, chatting, or cuddling. Your favorite pet can jump up and relax with you too – no worries, plenty of room! 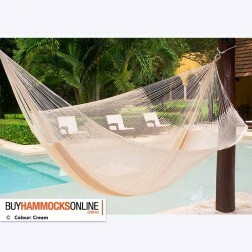 Buyhammocksonline.com.au is your best best for a well made, durable, attractive King Size Hammocks online. 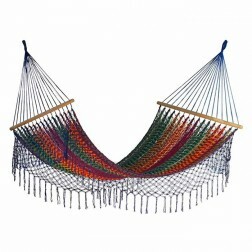 Our large hammock selection includes Mexican and Brazilian hand-crafted Hammocks in bright colors and ethnic designs. 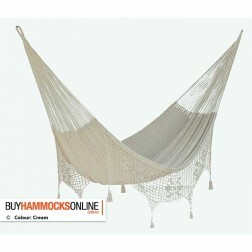 Also available online are all the accessories you need to hang your big hammock, all of which are sturdy and well made. 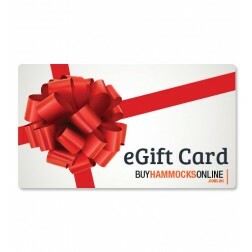 We sell frames, stands, and all the hanging hardware necessary for successful installation of big hammocks, whether you hang them from trees, pergolas, or gazebos or on one of our steel frame stands. 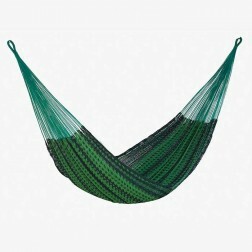 With one of our large hammocks, you don’t have to stress over assembly or installation. All of them come with simple instructions. You just provide a sturdy, solid ‘something’ to attach it to. Pergolas, gazebos, wooden beams, trees, you name it – if you already have a place in mind for your King Size Hammock, you can easily install it following the written directions. 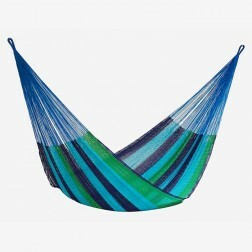 If you wish to take your hammock to the beach, the forest, another person’s garden or backyard, the process is simple – especially if your hammock in installed on a frame or stand. Dis-assembly of the stand is as easy as putting it up. 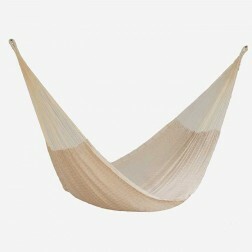 Fold the hammock, stow the stand, and you are off to enjoy your relaxation in a different setting. Imagine yourself right now, swaying gently in the ocean breezes, under a tall tree, with friends or family, and a good book. 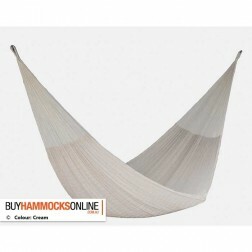 Your king size hammock from buyhammocksonline.com.au just made your day more enjoyable. And you are not stressed, in the least.